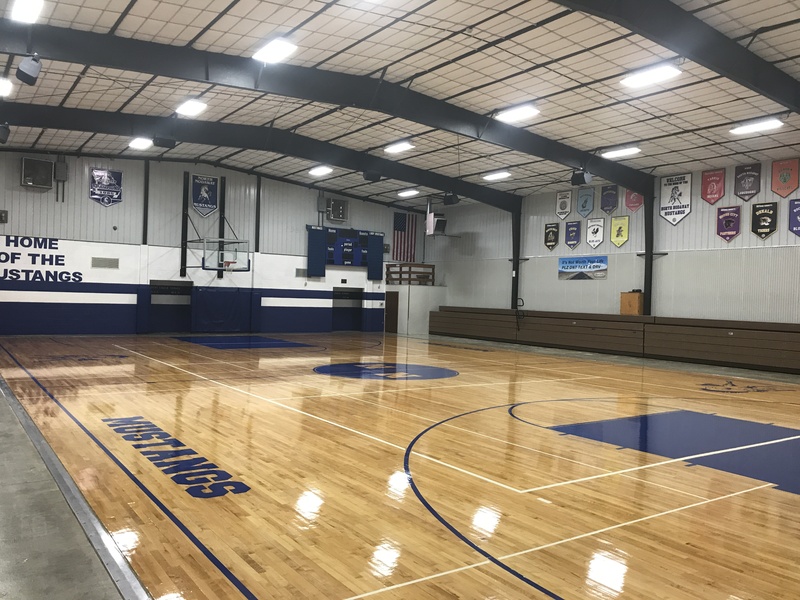 Providing Gym Floor Installation and Finish Services Throughout The Midwest USA. 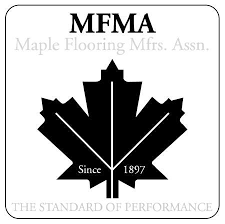 We are certified with the Maple Flooring Manufactures Association (MFMA). The MFMA is the industry standard for sports flooring. We use AACER Certified subfloor systems. Our team is AACER Certified and our finishes are MFMA Certified. We measure and record the dryness of the concrete, temperature of the atmosphere, humidity of the atmosphere, and the average moisture content (MC) of the service area. This is very important during the early stage planning of a new gym floor. 3 copies of this documentation will be demonstrated daily. 24 hour process. We then take 20 measurements of the moisture content of the subfloor system and the maple flooring. Acclimation of the maple flooring generally takes 7 days before installation. (Bleacher Blocking) – We determine how far out the bleachers expand onto the gym floor area to account for extra support in the subfloor. We account for total artificial expansion to provide adequate expansion allowances for acclimation up to 11% moisture content. We are required to leave intermediate expansion spaces to allow for anticipated flooring growth. Spaces generally range from 1/16″ up to 1/8″. As we nail, our crew will leave gaps in the floor called expansion rows. These are required so that the floor still has room to expand as the weather changes, if need be. Over time, they will close up, but you’ll notice that they there. 4-6 week process. We will sand the floor 3 times – once with coarse sand paper, once with medium sand paper, and once with fine sandpaper – until it is smooth and even. 95% dustless. All of our machines are connected to a vacuum. “Dustless Machines”. 4-5 day process. Logo (PDF copies) emailed to RippnFinish after service agreement is signed. This will allow enough time for the graphics shop to print out the logo stencils. Customer will be guided through our color-code selection for the court lines. After the last coat of seal dries, it’s time for fancy artwork! Our graphics artist will arrive and begin the process of masking and painting the logos and court lines. 2-4 day process with a 24 hour dry time. The final step is putting the last coat of finish down. This process involves a light buffing, cleaning the floor, and applying MFMA Sport Modified-Oil based finish. Once the last coat of finish is on your floor, the gym must remain. After 72 hours, foot traffic is allowed on the floor. 7-10 days before any rolling loads can go onto the floor (i.e. bleachers, chairs, podiums, etc.). We conduct an on-site care consultation with the cleaning supplies provided. RippnFinish exceeded our expectations. There was daily communication about project updates. Their art team was fantastic! Schedule got behind a few days but was totally worth it. Dust levels were minimal! Their workers worked overnight shifts to accommodate our needs. Very impressed with their workmanship and pricing.